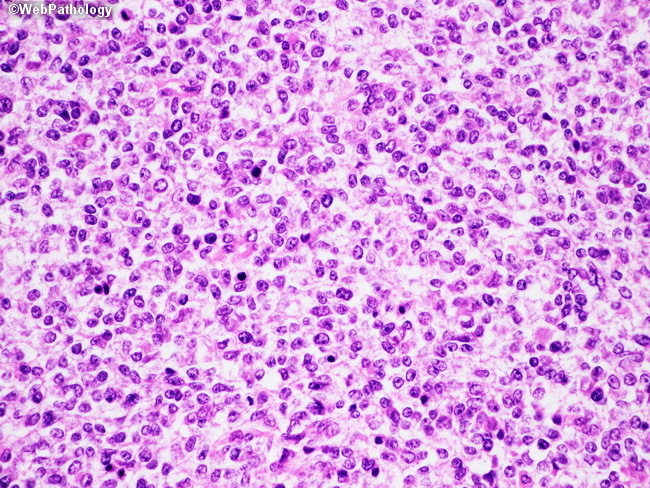 This malignant GIST demonstrates nuclear pleomorphism and hyperchromasia, and >5 mitotic figures/50 HPFs. Malignant GISTs still typically harbor CKIT mutations. These lesions often respond to treatment with imatinib (Gleevec), which is given to patients with malignant GISTs after surgical resection.